At a cafe in Kashgar's renovated old town, a German family of four sat in the morning sunshine debating which type of grape was the tastiest or most succulent. "We bought a hundred types of grapes to eat in the car. They were all different, and each of us had our own favorite," said Achim Loeffler, director of a chemical firm in Shanghai. His wife, Ute, added: "But other than that, everyone was amazed by the deserts, the mountains, the culture and the food. There was absolutely no disagreement on lamb, noodles or naan bread." After living in the country for two and a half years, the Loefflers chose northwest China's Xinjiang Uygur autonomous region, the heartland of both the ancient and modern Silk Roads, as the destination for the family's last trip before moving back to Germany. "I am curious about the old Silk Road, and I like the idea of the modern one linking the East with the West," Loeffler said. "On the trip, we saw a lot of work going on, in security terms and in new infrastructure. Kashgar, for example, isn't just old, but also very new." The ancient oasis city of Kashgar, in the westernmost part of China near the borders with Kyrgyzstan, Tajikistan, Afghanistan and Pakistan, was an important staging post on the original Silk Road and has been revitalized as a bustling hub of business and different cultures. From Kashgar to Pakistan's Gwadar Port, new roads, railways, pipelines are being built along the 3,000-kilometer China-Pakistan Economic Corridor that connects the northern and southern routes of the modern Silk Road. A $1 billion renovation project has transformed most of the substandard housing in Kashgar's old town into sound, earthquake-proof buildings, while retaining the area's traditional Uygur charm. The old town is now a mainstay of the local economy, a favorite among young and old, locals and newcomers. Neither the mercantile culture nor entrepreneurial spirit has waned over time. "Ultimately, this trip helped us to understand the enormous challenges the government has in managing this diverse country and creating a national identity," Loeffler said. 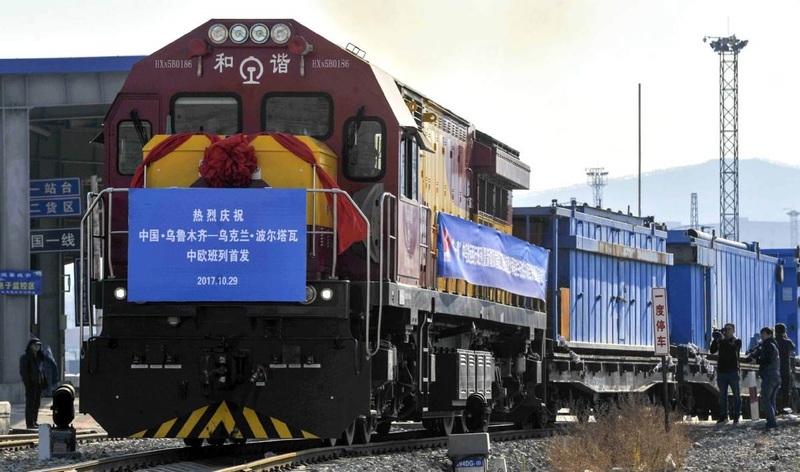 The Belt and Road Initiative, a vital part of that Chinese dream, was proposed by Xi in 2013 to boost world trade and connectivity through a land-based Silk Road Economic Belt and an oceangoing 21st Century Maritime Silk Road. Nowhere tells the story of the initiative better in practice than Xinjiang, which accounts for a quarter of China's land boundary. Xinjiang occupies a sixth of China's territory, although habitable oases only cover 9 percent of its area. But despite the barren landscape, Xinjiang is again a frontier of cultural exchanges, transportation and trade.